The world premiere of the BMW 5 Series Long Wheelbase and more - learn all about the BMW highlights of the Auto Shanghai 2017 show. The world premiere of the all-new BMW 5 Series Long Wheelbase as well as the presentation of the BMW 1 Series Sedan are two of the main highlights at the Auto Shanghai 2017 show. The motor show is one of the most important ones for the global automotive industry, as China is a key market. Most of the presented cars will have a clear focus on China, with some exclusive models only available there. 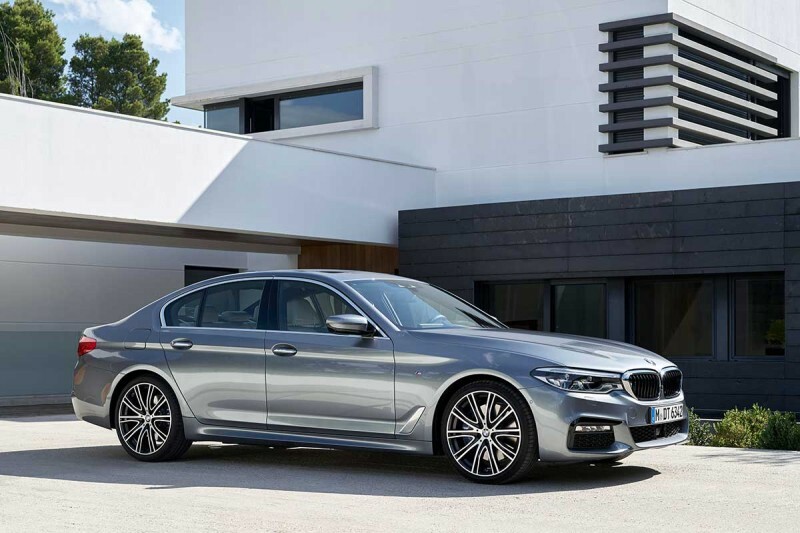 Such a car is the new BMW 5 Series Long Wheelbase (picture: normal Sedan). The new model is being built by BMW Brilliance Automotive Ltd. exclusively for the Chinese market at the Shenyang facility. Its 133-millimetre-longer wheelbase imbues the business sedan’s exterior with elegantly stretched proportions which blend harmoniously into its contemporary looks. Generous kneeroom, optimised soundproofing and a host of innovative equipment features – such as the electrically adjustable comfort seats, Ambient Air package and Sky Lounge Panorama glass roof – elevate on-board comfort in the rear to an even higher level. 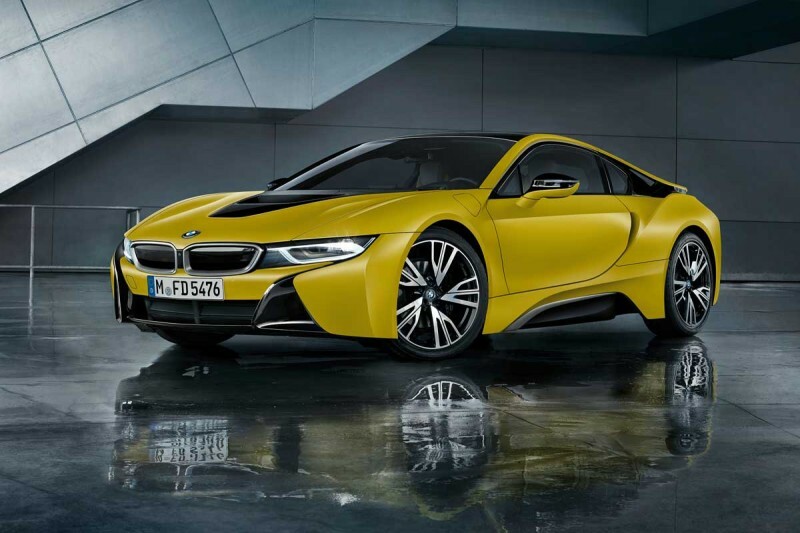 The BMW i8 has developed into the world’s highest-selling plug-in hybrid sports car. And its appeal is given fresh lustre at Auto Shanghai 2017 with the presentation for the first time of the BMW i8 Protonic Frozen Yellow Edition. This latest special edition stands out with its exclusive Protonic Frozen Yellow paint finish, newly designed 20-inch light-alloy wheels and distinctive interior design cues. 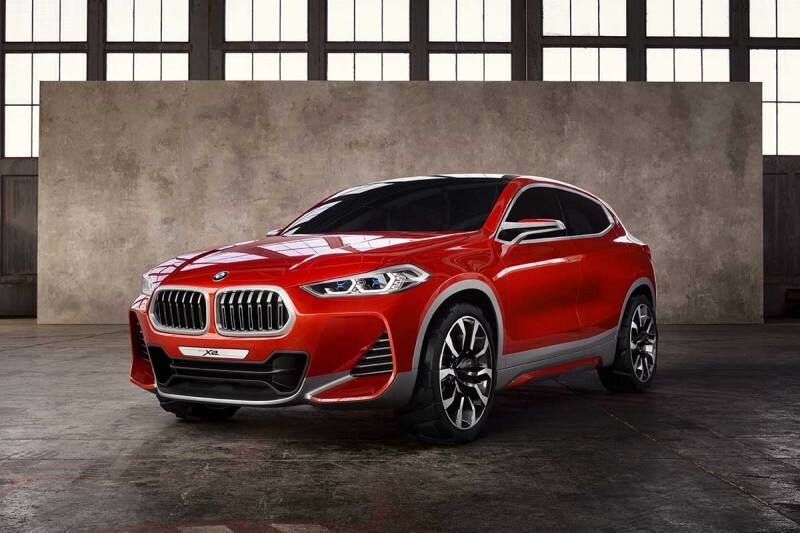 The BMW Concept X2 is celebrating its Asian premiere in Shanghai. The new vehicle concept for the premium compact segment combines the robust and functionally accomplished character of a BMW X model with the low-slung proportions of a coupe. The concept car will preview the production version, coming in 2018. 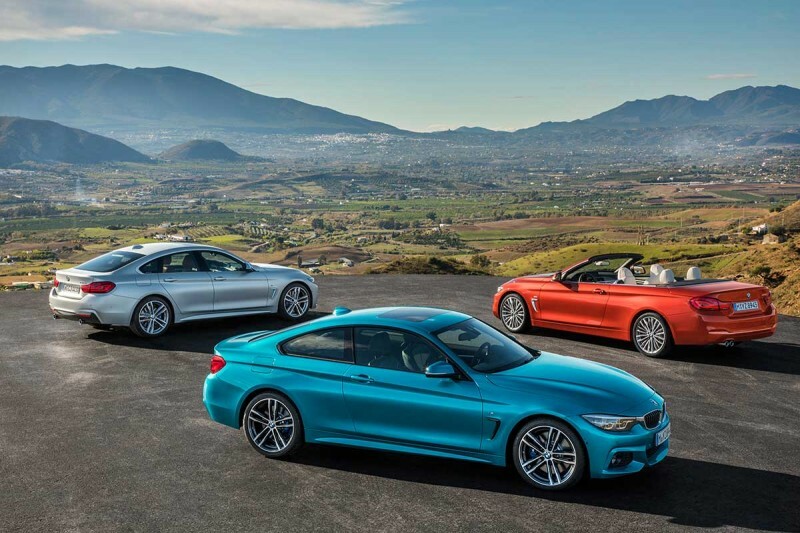 The new BMW 4 Series models will be introduced to the public in Asia for the first time with detailed revisions to their design and optimised chassis technology. LED headlights and LED rear lights now come as standard, as does a refined premium ambience in the interior. With mobility, communication and infotainment services tailored specially to BMW’s Chinese target group, BMW Connected presents a premium digital offering unmatched in the country. 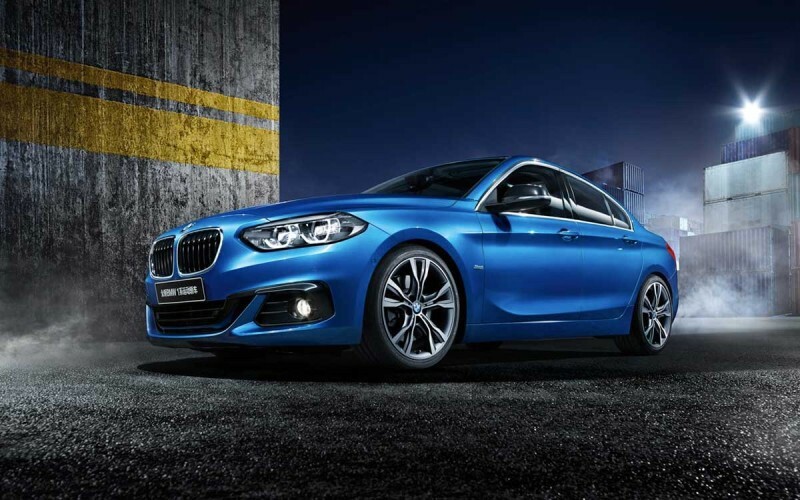 The new BMW 1 Series Sedan already had its market launch back in February in China. But the Shanghai Auto will be a place, where lots of people can get a first impression of the china-exclusive compact sedan. Lots of these people should also be journalists from western country, such as Europe and the USA. Last but not least, BMW just teased a big surprise for the Shanghai Auto. 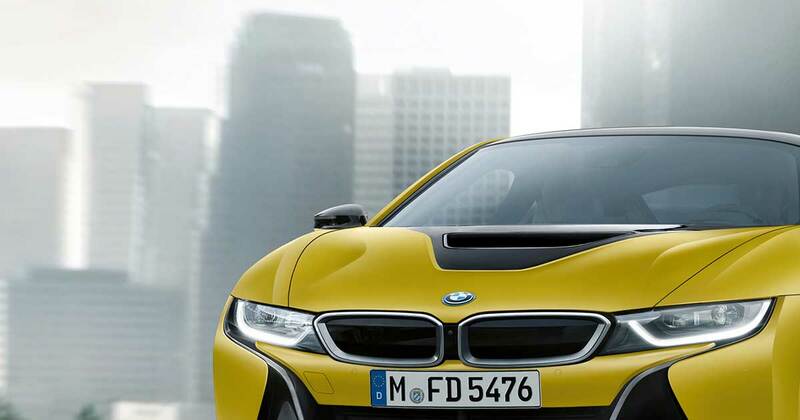 You can learn all we know about it here: BMW teases new car ahead of Auto Shanghai Motor Show. The 17th edition of the Auto Shanghai show will see more than 1,100 exhibitors present their new models, technological innovations and service offerings to the public from 21 – 28 April 2017. The MOTOR SHOW BLOG will cover the show live, with photos and news.